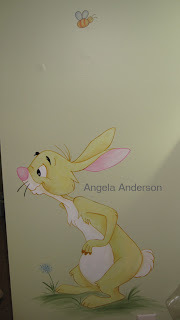 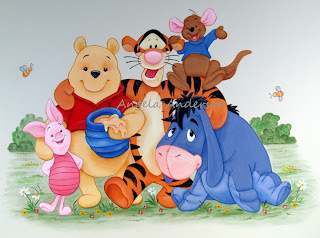 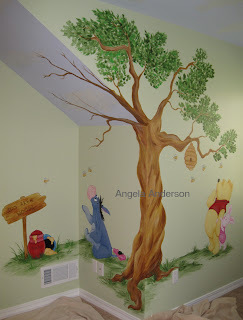 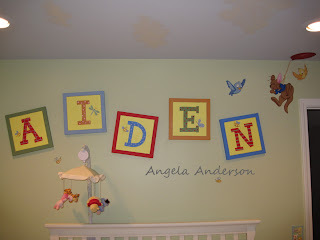 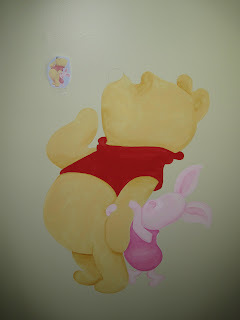 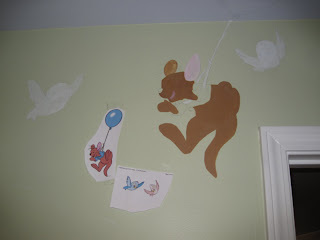 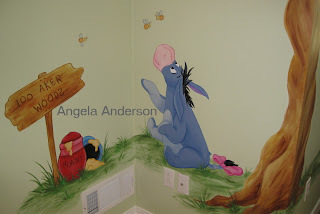 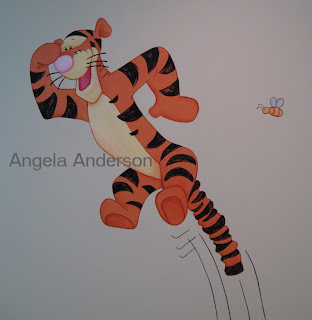 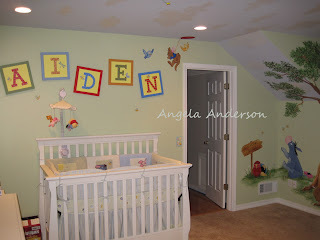 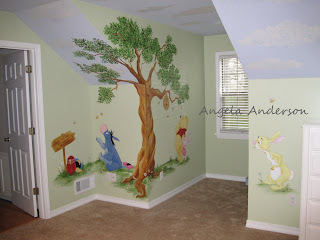 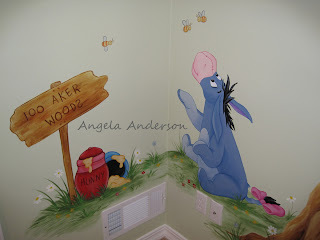 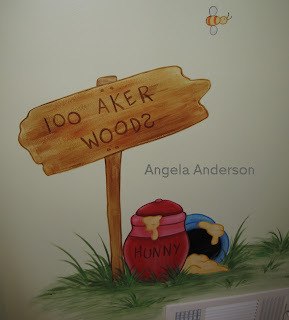 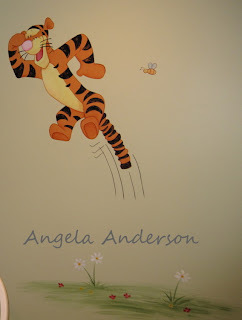 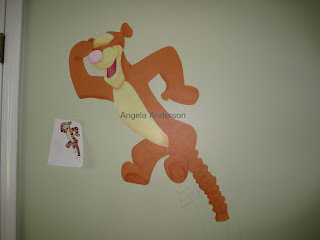 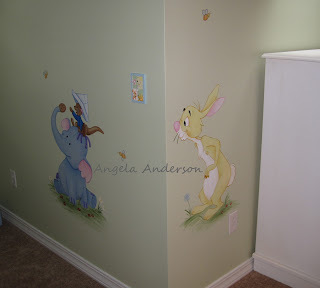 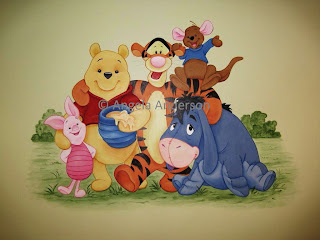 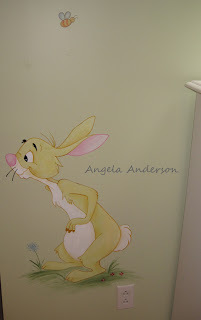 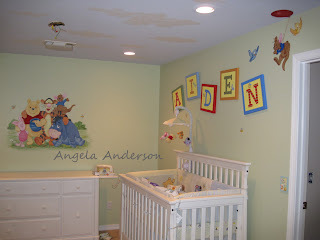 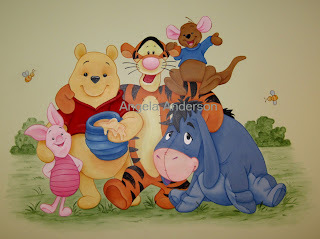 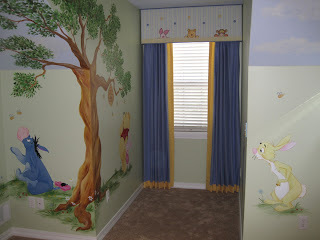 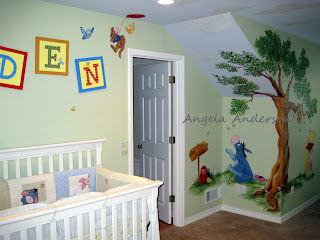 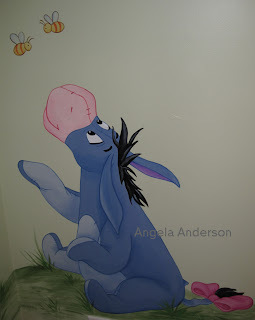 My newest project is a Winnie the Pooh mural. 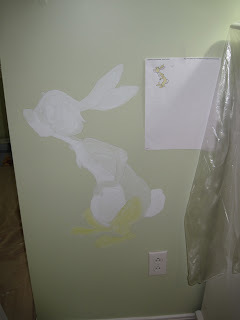 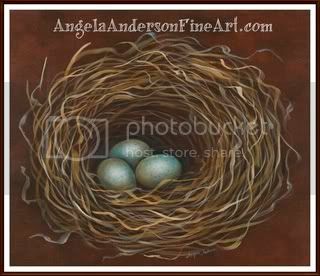 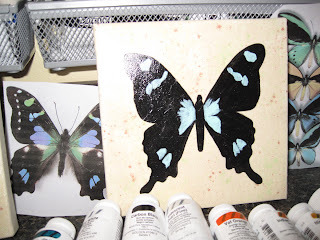 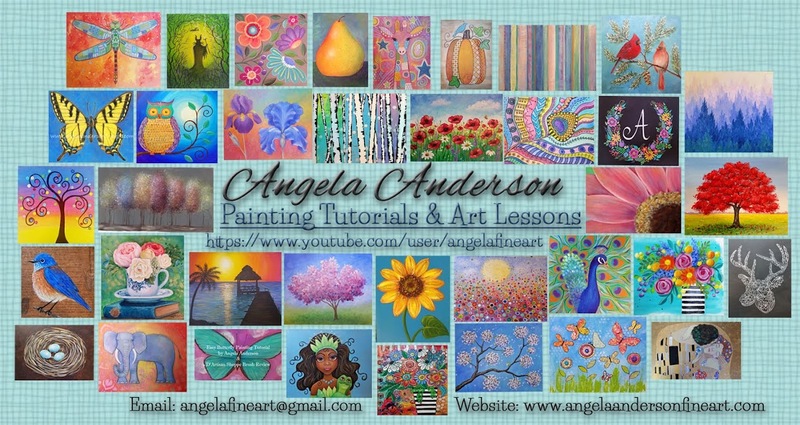 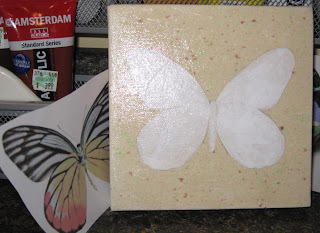 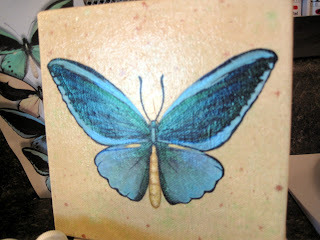 I will post photos of the work in progress. 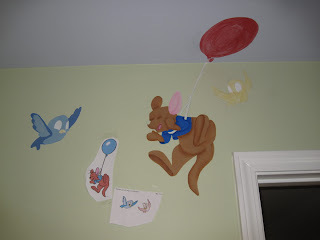 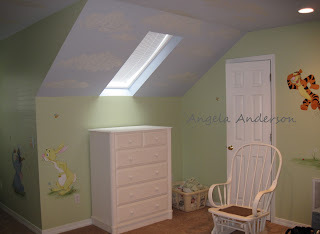 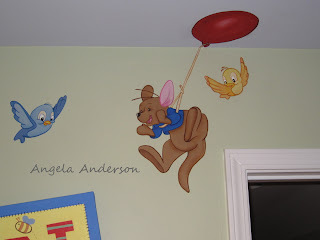 Day 1 was spent painting clouds on the ceiling and tracing out all the characters. 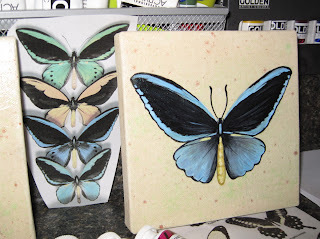 Below is day 2 & 3. 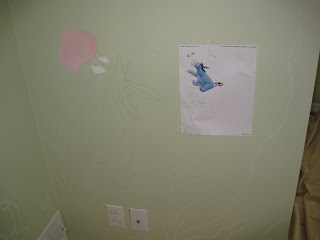 This is an area of about 3 ft by 4 ft. 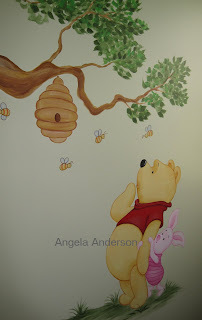 Here is the completed mural (day 4). 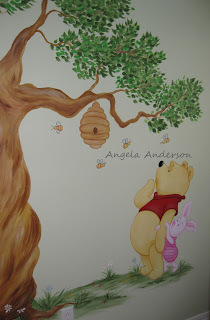 I will be adding bees and such once I finish the rest of the room. 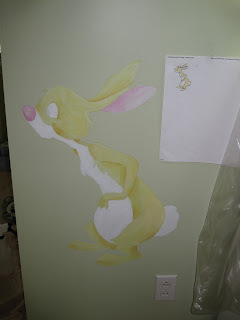 Day 5 - Adding more details. 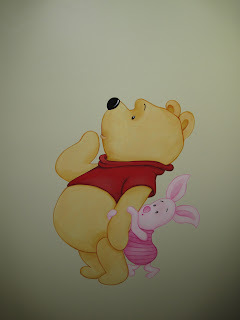 Finished Pooh & Piglet. 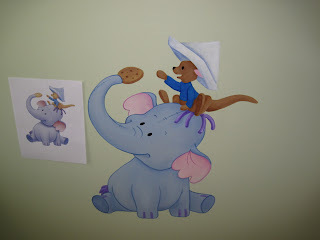 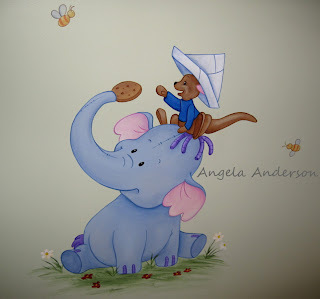 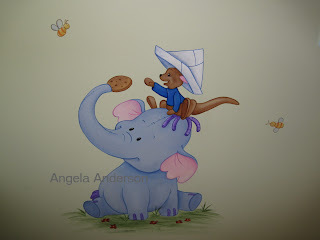 Heffalump & Roo are almost done. 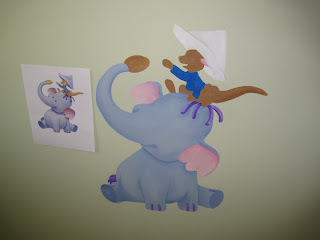 Day 6 & 7 - Characters finished & tree started. 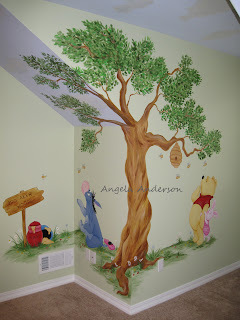 All that is left is to finish the tree and add flowers.